Calling all 2010 age-outs: Attend the 2011 Finals on us! Although your days in the ranks of Marching Music's Major League?„? may be over, we invite you to become a lifelong member of our ever-growing worldwide community of fans for many years to come! 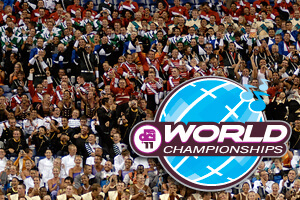 To thank you for your contribution to the legacy of Drum Corps International, we'd like to invite you and a guest to join us for the 2011 World Championship Finals on Saturday, Aug. 13 in Indianapolis! Learn more and register for your two free tickets today!